Greenville Golf Classic | Palmetto Exterminators Inc Sponsor, finally it’s golf season and time once again for the Greenville Golf Classic. 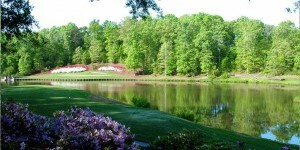 After a long and chilly winter, Greenville residents are more than excited for Spring on the golf course. Dust off your golf clubs because the Home Builders Association of Greenville is hosting their Annual Spring Golf Classic on Thursday, May 8that The Preserve at Verdae. Palmetto Exterminators Inc is one of the sponsors for this event. The Greenville Golf Classic is Captain’s Choice Format and will have a Shotgun Start at 11:30 am and will conclude with the Awards Dinner. There are still team and sponsorship opportunities available, please call the HBA office if you would like to participate. Volunteers are still needed. If you would like to help please contact the HBA office at 864-254-0133 or email Crystal Yanes at cyanes@hbaofgreenville.com. Located in the foothills of the Blue Ridge Mountains in Greenville, SC, the Preserve at Verdae is an 18 hole, par 72 championship golf course designed by Willard Byrd. The Preserve at Verdae is a beautiful golf course that sprawls across a lush landscape of rolling hills and meadows covered with beautiful Carolina forests. The Preserve at Verdae Golf Resort signature golf course, designed by Willard Byrd and opened in 1991, has five sets of tees for various skill levels. Palmetto Exterminators Inc is excited to be a 2014 sponsor of the Home Builders Association of Greenville Golf Classic.